This simple basting sauce creates luscious, juicy, tender grilled chicken. Thanks to Bill, a long-time team member, for letting us in on his secret recipe. Combine vinegar, water, butter, and salt in a small oven-proof saucepan over medium heat. Stir occasionally until butter is melted. When ready to cook, prepare grill for indirect cooking as directed by the grill manufacturer. Position grill rack about 6 inches above coals or heat source. Put pan of sauce on grill to keep hot. 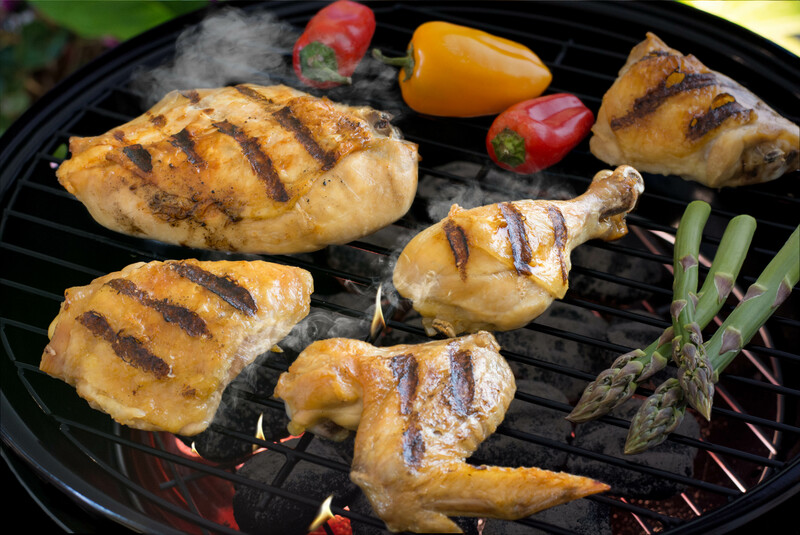 Cook chicken for 50 to 60 minutes, turning frequently and basting after every turn, until thoroughly cooked. Nutritional information may change when substituting your chicken product. If you choose to substitute frozen chicken for this recipe, it's best to thaw before cooking. Recipes calling out meat in the Dietary Exchanges category were analyzed with information prior to 2014 updates. Recipes calling out protein were analyzed with the new information after 2014.